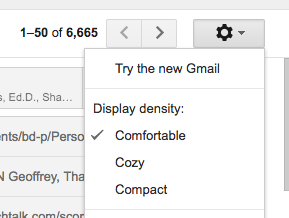 Gmail has just undergone a major redesign and like most of these upgrades you get the chance to try before you buy. So that is exactly what I did. At my first look I thought YUCK, it looks horrible, babyish, it is the same but different. After a couple of minutes my mind and eyes adjusted and I started playing with it. 1. 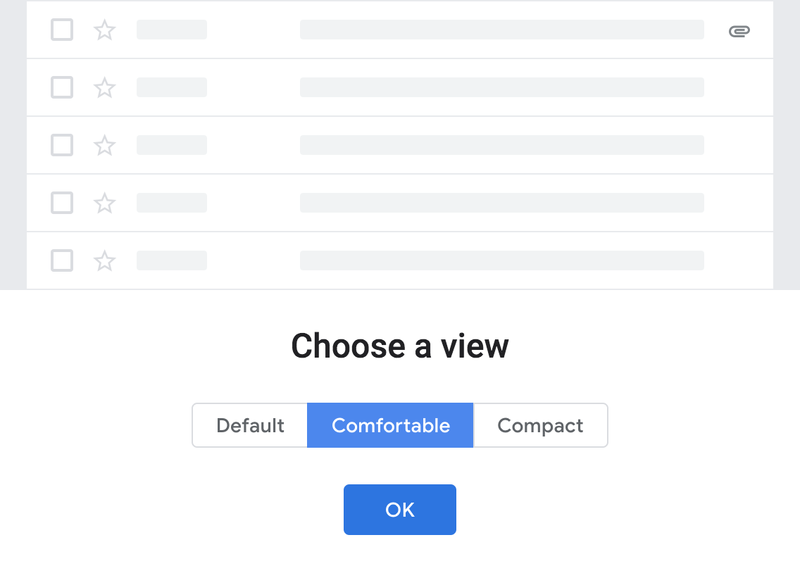 In default view attachments were clearly visible and looked good. 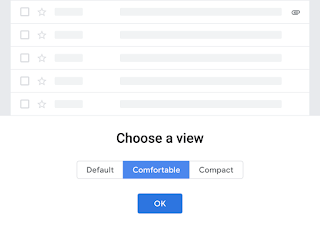 I have now switched back to the comfortable view just to get more on my screen, but I can see that some might like the default view. 2. 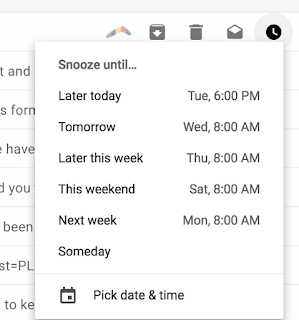 Calendar, keep, tasks and add ons can be accessed directly from the right hand side of Gmail. 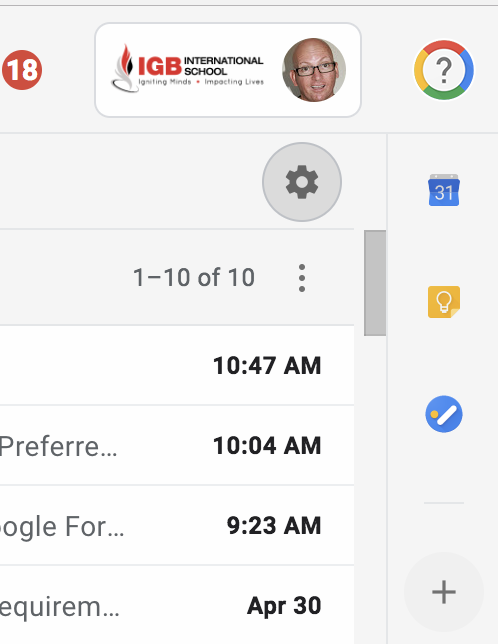 I use smart reply on my phone via the gmail app, now that it is available on the web version I seem to be replying much faster and it is making me more efficient. It does mean that Google is watching all my emails, but I new that already. It is also useful to start a message with the smart reply and then add a personal touch or some extra information. 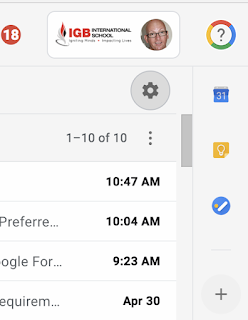 When you mouse over an email, you get a series of quick task options on the right of the email. 5. 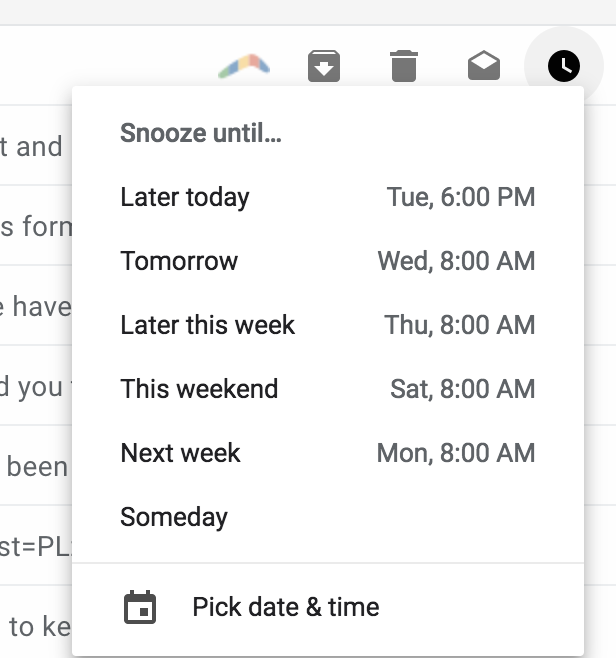 Snooze, you can now snooze an email so that it returns at a predetermined time just like using the boomerang add on. 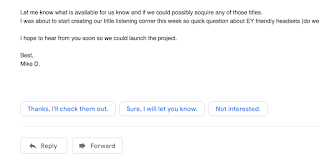 This could be really useful if your inbox is getting a bit chaotic or you are in the middle of class, often I will see an email, read it, think I need to do that later but then forget about it or can't find it. 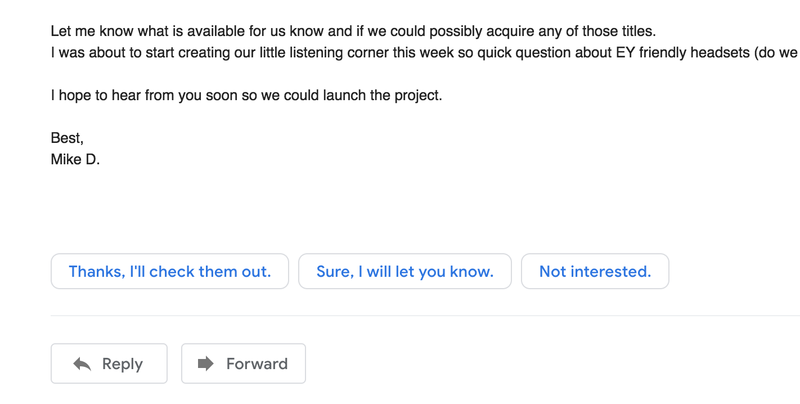 There is supposed to be another AI powered feature called nudging which reminds you when you haven't replied to an email in a couple of days. I haven't seen it in action yet but look forward to using it. After a couple of days of using it, I am really starting to like it and it has already made me more productive and given me more time to do the really useful things at school like teaching and talking to people.